I’m Ed Smith, a Corning car accident lawyer. A major collision occurred in Corning on Saturday, May 26, 2018, causing one woman to suffer fatal trauma. Reports also stated that three children in the woman’s vehicle received injuries during the crash. California Highway Patrol (CHP) said that the accident took place between two vehicles and involved a big-rig truck. The deceased woman was identified by authorities as Veronica Jenkins, a 38-year-old resident of Red Bluff. My thoughts and sympathy are with Jenkins’ family and loved ones as they mourn their tragic loss. Officers reported that the accident took place at about 6:55 p.m. at the intersection of South Avenue and Hall Road on the east side of Corning between Highways I-5 and 99. Jenkins had been driving her 2007 Chrysler minivan southbound on Hall Road heading toward the intersection just before the accident. At the same time, a 29-year-old man from Live Oak had been driving a 2009 Kenworth semi truck westbound on South Avenue. CHP reports state that the vehicles both entered the intersection at the same time. As Jenkins attempted to turn onto South Avenue’s eastbound side, her van was struck by the truck. The truck reportedly crashed into the driver’s side of Jenkins’ vehicle. Officials who responded to the accident said that Jenkins was found with severe injuries. Tragically, she was declared deceased by medics at the accident scene before she could be taken to a hospital. 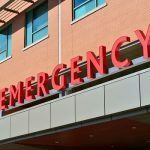 The three children in her vehicle, ages 11, 10, and 8, were found with injuries ranging from minor to moderate and were all driven by ambulance to the Chico Enloe Medical Center. CHP said that the truck driver was not injured during the crash. Additionally, reports state that all involved individuals had been wearing seatbelts. Investigating officers closed South Avenue for just under two-and-a-half hours while they investigated the accident site and made sure the road was safe for travel. So far, no suspected causes have been reported by investigators. However, CHP has stated that they do not believe driving under the influence of drugs or alcohol was involved. Coping with the sudden loss of someone you love and depend on can be extremely difficult. 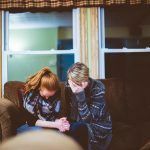 Those who are mourning often don’t know how they will deal with day-to-day life and calling a lawyer may be a distant idea. However, getting legal help as soon as you can is important, especially in cases involving big-rig trucks. Having a professional to assist doesn’t only help to make sure you get the repayments you need, but takes the pressure of dealing with a legal case off of your shoulders. I’m Ed Smith, a Corning car accident lawyer. 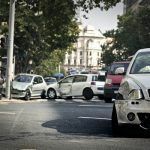 If your loved one has died in an accident, please contact me through (530) 392-9400, (800) 404-5400, or my website, AutoAccident.com, for free, friendly advice. I’ve helped Corning residents to claim fair repayments in wrongful death and major personal injury cases for more than 36 years. I’m one of the members of a forum of U.S. trial lawyers who have won and settled cases that were worth over 1 Million USD, Million Dollar Advocates Forum. 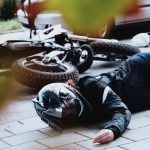 Visit AutoAccident.com, the Northern CA region’s top site for personal injury and car accident information.